In January we featured FlipBand, a no-tech wearable that was designed to help wearers stick to their New Year’s resolutions. The simple bracelet rejected apps and data in lieu of a physical reminder, but now a new product called MOTI posits that consumers don’t have to choose between real world objects and online intelligence — instead combining them both in a cute, smart object that helps users to form positive habits. 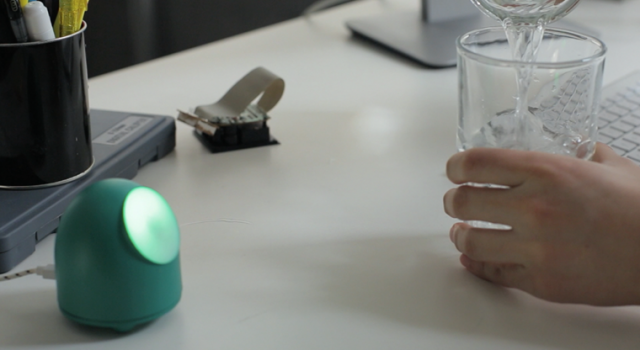 MOTI is a small gadget looking to lessen the drop-off rate associated with most wearables. To achieve this, the device takes the form of a tamogotchi-style object, in a hope that users will make a real connection with it. To begin, users choose a habit they want to form — whether that be brushing their teeth, reading the paper or going swimming — and push a button on the device every time they complete the task. 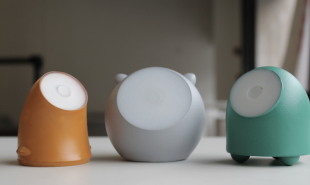 MOTI responds with congratulatory happy sounds and lights, rewarding the user and creating an emotional bond. MOTI is meant to remain on display continuously, acting as a symbolic manifestation of the user’s goal. Whereas apps mostly work by reminding users of their failure to complete tasks with text reminders which can be easily swiped and ignored, MOTI instead adopts the much more human approach: it uses emotional blackmail, buzzing angrily or looking ‘sad’ when users stray from their goals. It learns which of these tactics are most effective for individual users over time and tailors its response. Those looking to try out the device may have to wait — MOTI creator Kayla Matheus told us that an initial beta testing phase had to be closed to new applications last night “due to overwhelming demand”. However, customers can still sign up for a potential second round, costing USD 65 for early access. The startup is also seeking strategic partnerships and investments from related fields such as behavioral change, the Internet of Things and health tech. Are there other tech devices which could be given a friendly makeover?